So glad it's the weekend! I'm not sure if it's normal to have jet lag for this long, I'm actually thinking this might be a symptom of something else like old age or something equally ominous because I can't sleep enough this week! I've felt really unproductive because I usually wake up at 6am and get some version of a workout done which has been impossible this week. The plan is to force myself to get back into a routine because who am I without structure dammit!? Control freak problems. In more tragic news, I can't believe its JUNE!? Like where has the year gone?? WHERE?! Literally, just yesterday I was talking about all the things I was going to do this year and now we're half way through the year and I don't feel like I've done enough. I have certainly done a lot of things, but it just doesn't seem like it's enough (I wonder if this how everyone feels?). 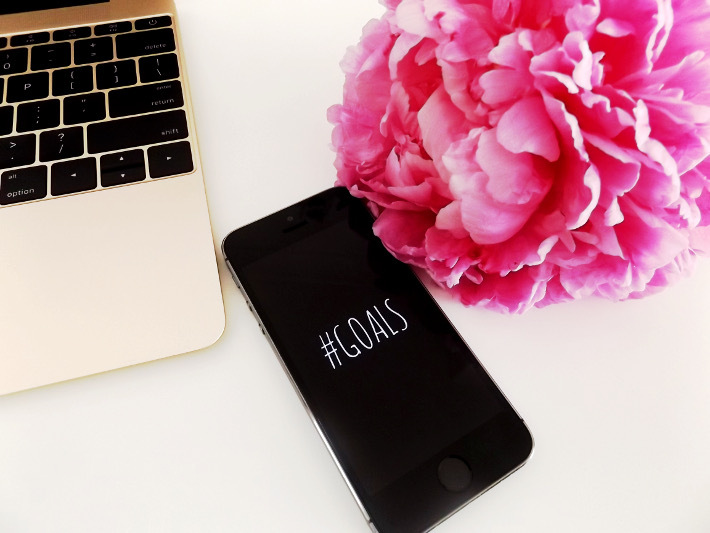 I thought it might be useful to set myself some goals as a way to get back into routine and also because there's nothing I like more than ticking things off a list (the need for control is very real)! I am exactly 6 weeks away from doing the Men's Health Survival of The Fittest challenge and I have a course time that I would like to achieve because I'm using this a gauge for what I can do during the half marathon. Having never done this race before, my thinking could be flawed but I intend to be well conditioned for it because a friend who has done it told me it's that it's more intense as doing a Tough Mudder (I've done 3). I'm training like I would for a Tough Mudder but trying to use different types of training methods - I've even added yoga into the mix (mainly because my physiotherapist recommended it but it counts!). So the goal for this month is to stay on top all my training and see if I can lean out a little as well. I keep telling myself I should become more active on social medial because it's the done thing and also because it's good for growing the blog but I keep failing miserably(any tips for how to improve are welcome)! If you follow me on Instagram though, you will notice that I have been posting a lot more so I am putting forth the effort but I think my long break from social media gave me habits that have stuck! I WILL get better at posting and interacting this month - I just have to, lolz. We moved into our house (flat, whatevs) back in March and we did some big changes like removing the carpet and having the original wood floors restored, painting etc but my will to decorate it as I would like was lost along the way which has left us with half a very pretty house and half a decent house(the bedrooms and bathroom)! So the goal is to finish decorating the bedrooms and make them Pinterest worthy! I've been saving inspiration photos oner the last few weeks as well as buying up furniture that I can repurpose on eBay and gumtree so (spoiler alert!) there should be some DIY posts coming as well. While I was in New York I ran some of the fastest miles I've run since getting back into running consistently and it felt so amazing! I then did some research (read: I compared altitudes on my Nike running app) and found that the altitude is lower in New York than in London so I was able to run faster because I could control my breathing better- ha! So I've now been reading up and watching videos about how to breathe better during runs so I can run just as well and efficiently as I did while I was in New York. The plan is to shave off at least 30 seconds of my mile time this month(consistently not just the one off run). Let me know in the comment section if you like these 'what I'm up to posts' and I'll do more! Have a great weekend, I sure will! !